Within the the year 2015 our international co-operations with partner agencies increased and Big Bang & Whisper consulted several companies and organizations that were seeking help to communicate within the German market. Whenever a new project starts, we realize that the German market is quite different from other markets, even if its a neighboring country, such as The Netherlands. German consumers are definitely not the typical early adopters. They are rather shy consumers that need their time to learn about a product and service, they review lots of recommendations online and listen to friends before they make a purchase decision. Therefore, Germany is not an easy game marketing-wise. Another challenge is the very dense market with lots of competitors, and lots of media and marketing channels. Finding the right marketing mix is sometimes an adventure. Doing business in Germany also means to adapt to a new business culture. 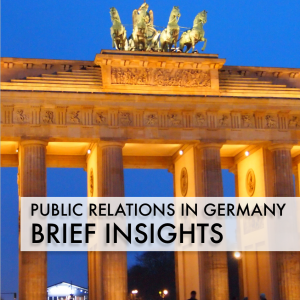 Germans separate business and private life a lot more than other cultures. Don’t dare to call your business partner after the usual office hours or if you can expect him to be at home with his family – he will surely support you also in this moment but it leaves a bad impression. Usually Germans think: When you can not get it done within your work time, you are planning your resources and projects not effectively enough.